In 2011, HP finally shuttered the Palm brand in favor of the HP brand. It marked the end of an era where Palm, Blackberry, and Nokia regularly battled it out for the smartphone/PDA crown. A few months ago, details leaked of an upcoming Palm-branded smartphone that was exclusive to Verizon. Those leaks have officially been confirmed with the announcement of a device simply known as 'Palm'. This Palm is a 3.3-inch device that is less standalone phone, more companion gadget to your existing smartphone. Instead of having its own phone number, the Palm phone co-opts your existing Verizon phone number so you can technically use it away from your main phone if you need to. It's part of an ongoing trend to use your main smartphone less and use a lighter phone for short trips or times when you don't want the distraction of your primary smartphone. The Light Phone 2 announced back in March also aimed to free users from their smartphone addiction. On the outside, it has a tiny 3.3-inch LCD screen with a 445-ppi pixel density. It has a single multi-purpose button on the side that has different functions depending on how many times or how long you press the button. It has a 12-megapixel camera on the back and an 8-megapixel selfie shooter...if you care about taking pictures on a device this small. Inside, the Palm phone is powered by a Snapdragon 435 with 3GB of RAM and 32GB of storage. Despite the specs, the device seems decently quick based on a hands-on video from The Verge. The UI is a simplified hexagonal grid of icons and a search bar up top. There's a virtual button at the bottom that serves as the home and multi-tasking button. Since your phone number is linked to both your primary device and the Palm phone, your text messages will automatically sync between both granted you use the Verizon Messages app on both phones. Obviously, iMessages will not sync with it...sorry iPhone users. Being that this is a companion phone that is meant to get rid of extraneous distractions, there is something called Life Mode. When Life Mode is turned on, not only do notifications get silenced, but all of the wireless radios are also turned off as well. The phone is also put into Low Battery mode to conserve power (it only has a 800 mAh battery after all). The theory is that you can actually experience "life" when everything is basically turned off. 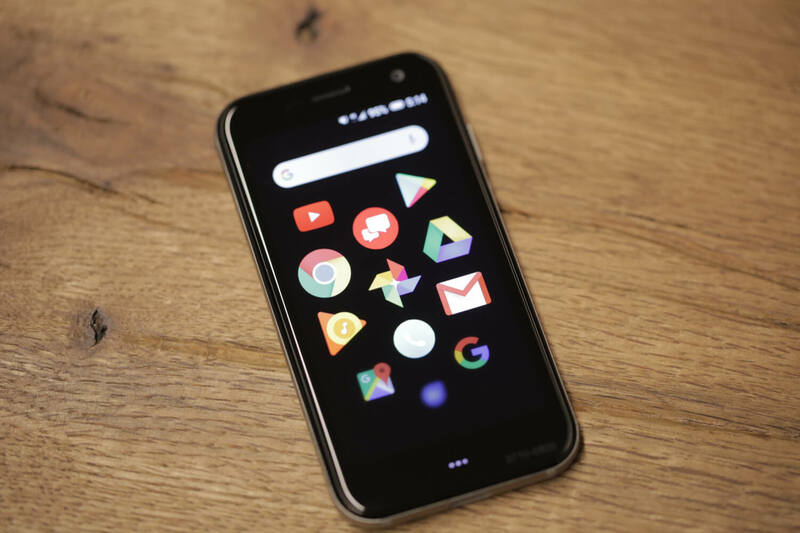 If you're interested, the Palm phone is scheduled to release in November and will cost $349.99. However, you can't actually buy it on its own. It's available only as an add-on to your existing Verizon line. Some would argue that an LTE-enabled smartwatch could function the same way as the Palm phone but perhaps this could be a viable alternative for those who don't want something on their wrist (or who like traditional mechanical watches). Truly speechless... life mode? is this even waterproof? 350 bucks? no sim card slot? I could not imagine what goes on in the meeting room, that they decided to create this unorthodox device. .... also, "I got so much spare muney that my phone have a phone"
So is this like taking Methadone to cure your Heroin addiction? Its a shame that no one wants to make reasonably small smartphones anymore, without being stupidly small or handicapped out of the box, of which this is both. I am clearly in the wrong profession. In the words of Tom Hanks (in “Big”)... I don’t get it. 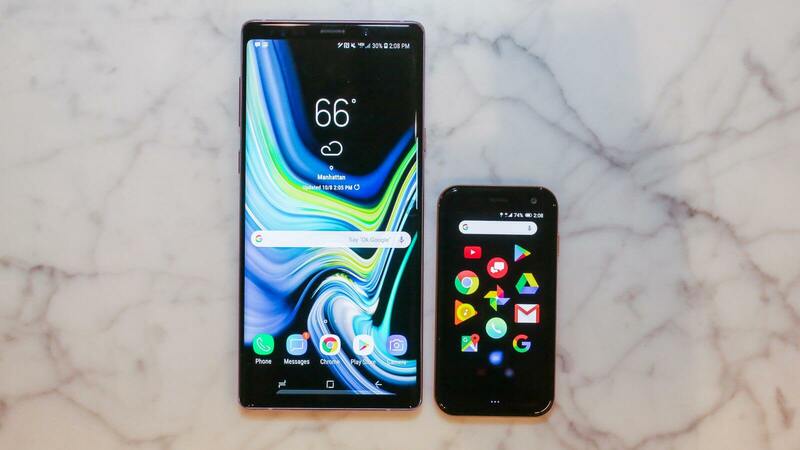 I think there is a market for smaller phones, but if you’re part of the 0.1% that needs 2 different size phones couldn’t you just move your SIM card to your “weekender” phone? Also, wouldn’t a flip phone be sufficient for that purpose? Lastly, as a previous owner/lover of the Palm IIIx, it needs a stylus to be worthy of the Palm name. In 2011, HP finally shuttered the Palm brand in favor of the HP brand. Made me laugh - I remember that fiasco, everyone was trying to jump on the smartphone market after first Iphone, then Android based devices shown that there is a huge potential. HP in particular paid a fortune or so to acquire Palm ... then another fortune to develop a product ... then they had to sack it off - all these in one year. And for all Apple hatters - do you remember using a Windows Mobile device back then ... we would be stuck with that crap now if Apple wouldn't have stepped in with the Iphone and change the game. I am not sure it can be better than Apple.